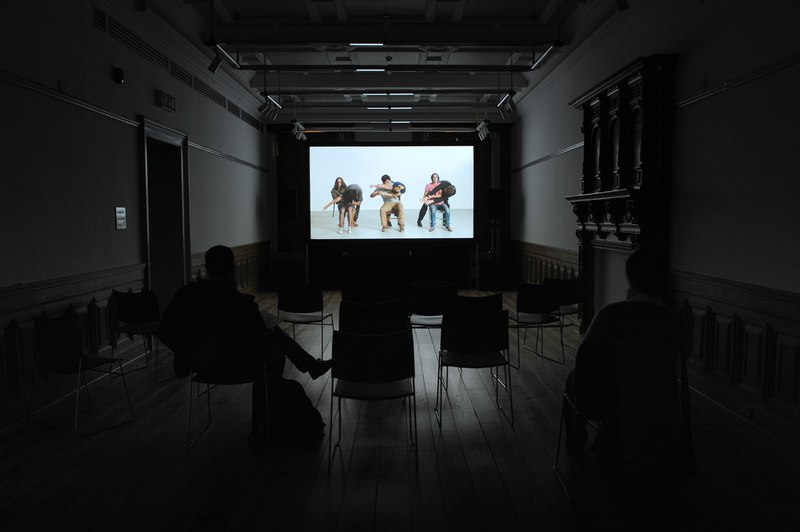 As part of 'Melbourne in Glasgow', David Rosetzky presented 'How to Feel'. A group of people congregate in a studio, they talk about themselves and exchange stories. Individual identities become discernible and then merge with one another. Daylight mixes with artificial light. Exercise routines shift into choreographed movement. Everyday life mixes with the imaginary. 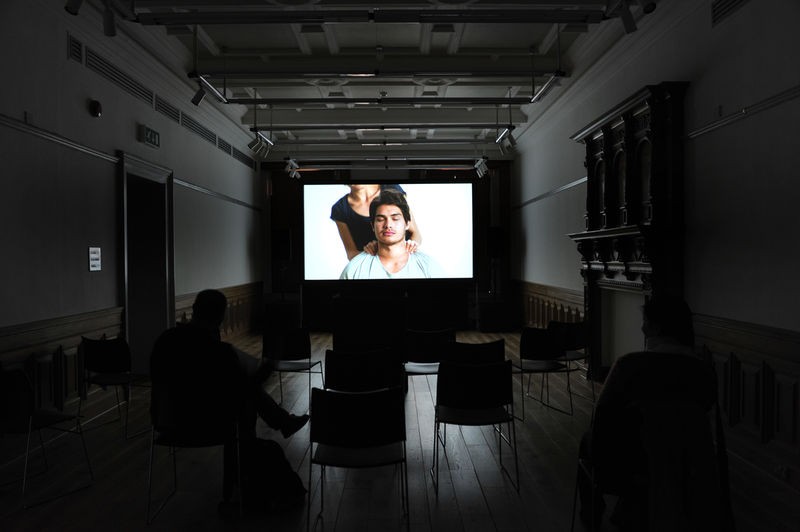 Commissioned by ACCA, 'How to Feel' (2011) is a feature length video work that investigates the shifting boundaries between self and other. Placing emphasis on the fragmentary nature of contemporary subjectivity, this work explores the conflicts and tensions that underscore our everyday interactions with others. Combining methodologies from the fields of theatre, film, dance and visual art, 'How to Feel' is the result of David Rosetzky’s collaboration with choreographer Stephanie Lake, actors Elizabeth Nabben, Nicole Nabout, Stephen Phillips, John Shrimpton, Yesse Spence and Miles Szanto, dramaturg Margaret Cameron and sound designer/composer J. David Franzke. David Rosetzky (born 1970, Melbourne, Australia) creates skillfully crafted video portraits in which identity is intimately observed. With an extensive exhibition history both in Australia and overseas, Rosetzky was founding member of the influential artist-run space 1st Floor and one of the first local artists to embrace the aesthetic potential of video in the contemporary art context. Rosetzky’s 2009 video portrait of Cate Blanchett was selected to be exhibited in The Third ICP Triennial of Photography and Video at the International Centre for Photography in New York and Open Air: Portrait in Landscape, at the National Portrait Gallery in Canberra. He has exhibited in museum exhibitions in Canada, Lithuania, Japan, Berlin and Wellington and awarded the Anne Landa Art Award from the AGNSW in 2005. He has been Artist in Residence at Glasgow School of Art, Scotland and at Dunedin Public Art Gallery, New Zealand.